Scammer Location: Not mentioned… maybe somewhere in the open sea. Ans 1) Yes, we have “won” a few lotteries almost every week. Jay HS will soon be the first Billionaire at Forbes through 100% lottery winnings. Ans 2) Nothing much… we are getting numbed by winnings. INTERNATIONAL PROGRAMME HELD ON 25 JULY 2007, WON YOU THE DRAW. THE AMOUNT YOU LUCKILY WON IS YET TO BE CLAIMED. SUBSEQUENTLY WON YOU THE E-MAIL LOTTERY®. YOU ARE QUALIFIED AS THE DRAW WINNER TO CLAIM YOUR WINNING. $850,000.00(EIGTH HUNDRED AND FIFTY THUOSAND DOLLARS) . MARKETING, SPONSOSHIP AND THE SALE OF TELEVISION RIGHTS. WILL BE RELEASED TO YOU BY OUR PAYMENT OFFICE IN THE UNITED KINGDOM. TO YOU IN YOUR COUNTRY. AND UNWARRANTED ABUSE OF THIS PROGRAMME. PLEASE BE WARNED! 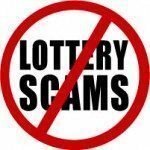 Lottery Scam: MICROSOFT AOL ANNIVERSARY AWARD NOTIFICATION.